Texas Attorney General Ken Paxton issued an official, nonbinding opinion Wednesday saying school districts cannot provide transportation to get students to polling places unless the trip serves an educational purpose. Texas Attorney General Ken Paxton issued an official, nonbinding opinion Wednesday saying school districts cannot drive students to polling places unless the trip serves an educational purpose. State Sen. Paul Bettencourt, R-Houston, asked Paxton to weigh in on the issue last month, arguing that a civic engagement group called Texas Educators Vote was violating state law by encouraging school administrators to incentivize voting. The group's leaders have said they are doing their civic duty and have not run afoul of the law; they said Bettencourt's question is part of a backlash against public education. After the opinion was issued Wednesday, both Bettencourt and the group's leaders stuck to their guns on the issue. Paxton's opinion said school districts can't pay to drive kids to polling places "absent an educational purpose." The same goes for driving employees: "Absent the performance of some educational function on behalf of the district's students, we question whether providing transportation for employees to and from polling places serves a public purpose of the school district," the opinion reads. Paxton also said school employees cannot promote specific candidates or measures with public money, school district equipment or on school time. That includes distributing flyers or sending emails with links to campaign websites. School districts aren't required to follow Paxton's advice, but government officials often consult written attorney general opinions when determining what is allowable under state law. Bettencourt first asked for the opinion after learning that Texas Educators Vote had been encouraging school boards to adopt a resolution that authorizes administrators to implement "no-cost incentives" for students and employees to vote. 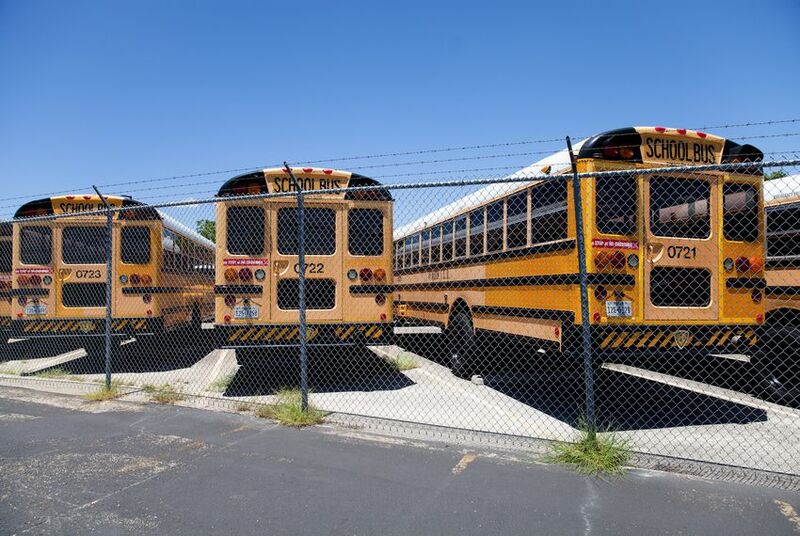 The resolution says administrators should check district policy to see if they can use district-owned vehicles to transport voters to polling places. And it includes an "oath" educators can sign promising to "vote in support of the more than 5.4 million Texas school children." That language concerned Bettencourt, who interpreted it as a violation of state law. He said Wednesday afternoon that the opinion is “what the law of Texas intended as well as what is on the books.” He said that Texas Educators Vote’s form of advocacy — asking school boards to sign resolutions to encourage voting — has not been seen before in the state’s history. Laura Yeager, founder of Texas Educators Vote, said she was “disappointed” with the opinion, which she said did not take into account the briefs the group had registered with the attorney general’s office. In a statement Wednesday afternoon, the Association of Texas Professional Educators disagreed with Paxton’s opinion, saying it would continue with non-partisan efforts to encourage students and educators to vote. The association's leaders said school districts should make their own decisions about whether to fund transportation to the polls. “We trust that school boards will continue to make prudent decisions on this matter in light of all the legal advice available to them,” said Jennifer Canaday, ATPE governmental relations director. A current Texas law on the books requires school administrators or other designated registrars to circulate voter registration forms and notices to eligible high schoolers at least twice a year. Voting rights advocates have argued school administrators are doing poorly on that front. Disclosure: Laura Yeager and the Association of Texas Professional Educators have been financial supporters of The Texas Tribune. A complete list of Tribune donors and sponsors is available here.